I don’t know either I felt less inclined to laugh or there actually wasn’t anything funny but this week I came across only some articles about move favorite perfumes and adopted a couple of small lemmings. If you read anything that you found amusing please share! 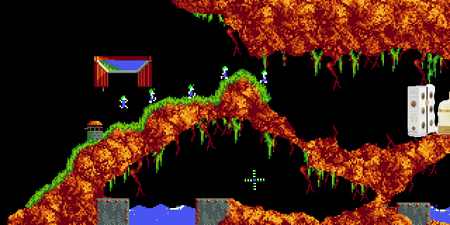 This week’s lemmings aren’t perfume-related. Well, not directly perfume-related. I read two reports about their Paris meet-up – by Suzanne (Eiderdown Press): The four of us stayed at the same hotel in the historic Marais neighborhood and spent the next several days sniffing perfumes to our hearts’ delight, eating enough foie gras and drinking enough kir royals to leave us in a state of purring contentment, and conversing on all manner of subject, from the general and specific craziness of family life to the physical requirements of opera singers… and by Ines (All I am – a redhead): Asali called it “nerding” about perfume and I admit, I kept waiting for someone to say, OK, enough of the perfume talk already, but that never happened. I want to visit Paris and I want to meet at least several of the blogo-friends I’ve got to know through our mutual passion. Not necessarily in this order or combination. This was the only post last week that was supposed to make my LLL series so I moved it to this week: Christos (Memory of Scent) reviews one of my all-time favorites: Chanel No 19 is the perfect example of what leather is to fragrance. It is the illusion created by the artistry of the perfumer, Henri Robert in this case, using the ingredients to evoke memories of leather. It reminds me of those abstract pictures that are supposed to become three-dimensional images when you squint and look sideways. When you focus on what you look at the illusion is lost. “Softly engineered” for Antonia’s green note is great. ; – ) And you have reminded me that I have yet to check out Ines’ blog for the other account of the Paris trip…! Meet you in Paris Undina. 2014. I just LOVED Suzanne’s post on her Paris meet-up with Ines and Asali. It’s great to learn more about them all and wasn’t Suzanne’s hubby fantastic for getting involved in all the sniffing? Gorgeous pics too. Looking forward to the follow-up posts. Me too! I wish Suzanne had commenting capabilities on her blog. I always enjoy reading her reviews and want to comment. Hi Undina, and thank you for the mention on Antonia. It’s a perfume I wish I could wear but maybe M will be up my alley. M definitely doesn’t work for me – I tried it both on myself and on my vSO (he liked it). Don’t like how it smells on either of us. And I’m still not sure about Puredistance I. I’m getting mixed reaction. Will keep trying. Undina, I was going to leave a message for you late last night when I read this, and then thought better about commenting at 2 am. :) Thank you for the mention of the Paris trip — and thank you and Tara both for the sweet comments. There are so many blogging friends I’d love to meet in person, in Paris or any number of beautiful cities, including San Francisco. How lame is it that I’ve never been to California? That’s where I’d love to meet you … and then head to Sonoma to go wine tasting with you. My only regret about Paris is screwing up on that address and failing to bring home Isa for you. But I do have a number of goodies from Paris that I hope to get in the mail to you this week. Until then… xxoo! I am way behind in my reading, but I just had to comment to say that Christos’s review of No. 19 was one of my favorites too. It was such a new, unique look at this scent. I really enjoyed wearing No. 19 and thinking of his take that week. Every time I wear No. 19 I’m amazed how much I like it and how great it works for me.